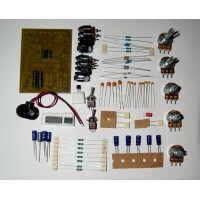 The HCF4094BE consists of an 8-bit shift register and a 3-STATE 8-bit latch. 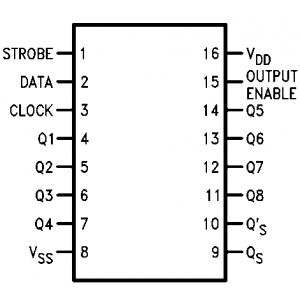 Data is shifted serially through the shift register on the positive transition of the clock. The output of the last stage (QS) can be used to cascade several devices.